Jeremain Lens is due for a medical at the Academy of Light today, but Sunderland’s proposed move for Nicolas Lombaerts has collapsed. 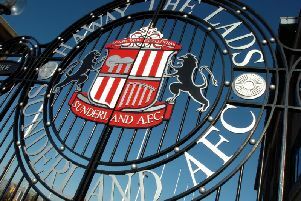 Lens is on the verge of completing his £8million move from Dynamo Kiev after the Dutch international winger agreed personal terms to become Sunderland’s big money move of the summer transfer window so far. However, Sunderland’s pursuit of centre-half Lombaerts has fallen through after the Belgian international has indeed failed a medical with the Black Cats - speculation which first emerged in Italy yesterday. The Echo understands Sunderland had agreed a fee with Zenit St Petersburg for Lombaerts and a deal was also reached over personal terms for the 30-year-old, contrary to reports last night that the two parties couldn’t agree wages. But the move has collapsed due to an issue with Lombaerts’ medical on Wearside yesterday and Sunderland are now looking at other targets, who are understood to have already been identified. They are not thought to include Celtic centre-half Virgil van Dijk, despite Sunderland’s long-standing interest in the Dutchman. The news on Lombaerts will be softened though by the imminent arrival of Lens, who is likely to join the rest of the Sunderland squad in North America if his move goes according to plan - probably in Canada at the weekend prior to next Wednesday’s clash with MLS outfit Toronto. One of Advocaat and Lee Congerton’s principle aims this summer was to boost Sunderland’s options on the left flank after the Black Cats were forced to use a variety of options there last season. And Lens has always been one of the club’s main targets after the 27-year-old enjoyed a successful period working under Advocaat at PSV Eindhoven. He has been keen to leave Kiev, partly due to the current unrest in the Ukraine and has been tempted by the prospect of working under Advocaat in the Premier League. “I have never made a secret of the fact that I like the Premier League,” he said earlier this week. “Despite Dynamo playing in the Champions League, now it seems like a great opportunity to make the switch.